Easy Homemade Granola Bars That Are Great For School Lunches. Coconut chocolate chip granola bars are perfect for school lunches. Cheaper and somewhat healthier than store-bought versions, these are soft, chewy, not-too-sweet, and rather easy to make. Oats, coconut and almonds create the perfect texture balance to me: not too firm (so kids, like my son with braces, can eat them) and they hold together nicely. 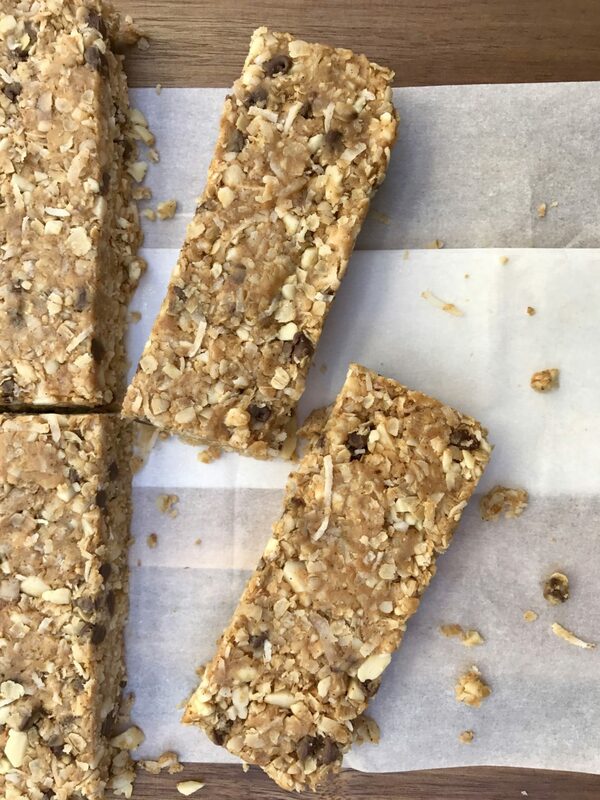 My granola bar recipe is so simple, kids can actually make these themselves. And why not! If school hasn’t stared for your kids yet, this can be a great back-to-school cooking project for them to try. My younger son began helping with his lunches last year and has put his stamp of approval on these delicious sweet treats. 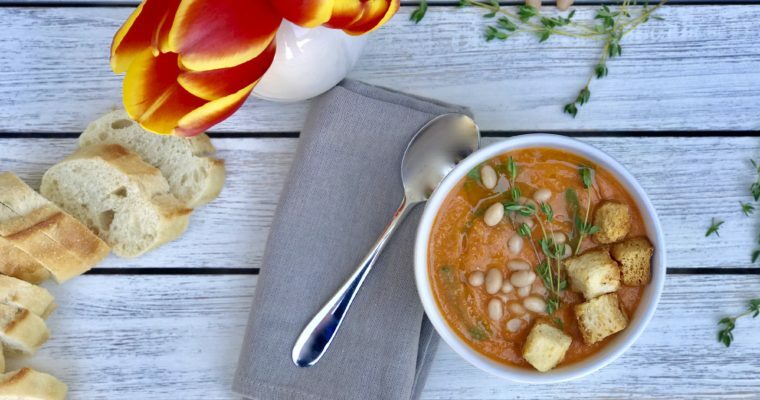 Simple, child-friendly ingredients that you likely have hidden in your pantry somewhere make this recipe easy to whip up anytime of year. 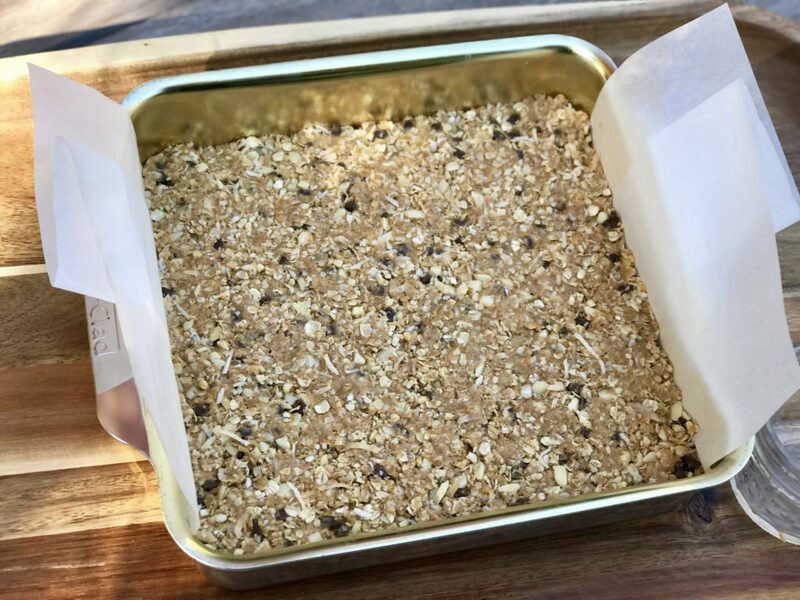 You can make these coconut chocolate chip granola bars ahead, individually wrap and stores in the refrigerator for easy use. Plan ahead, make them on Sunday in advance of a busy week. Great in lunch boxes, for an after school snack or for busy parents who need a little something sweet with their morning coffee. 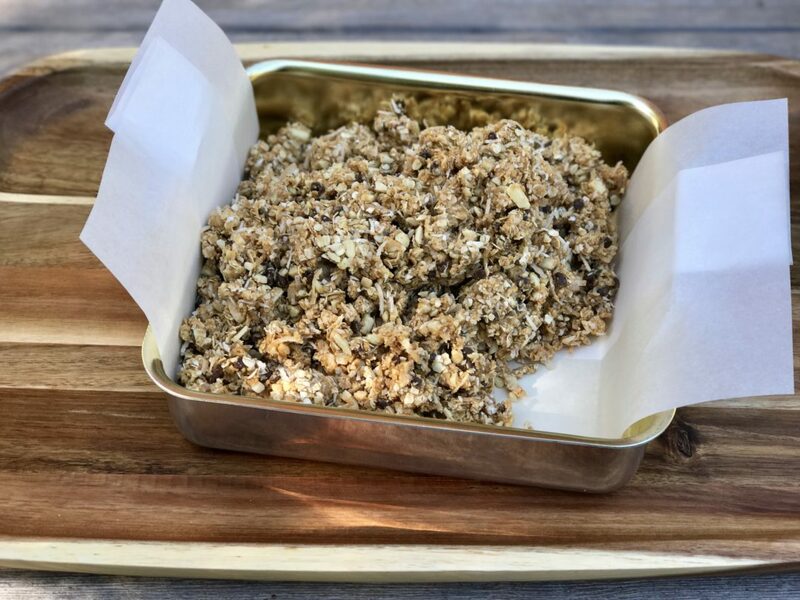 I like to lightly roast the almonds in this granola bar recipe to help bring out that delicious nutty flavor, but you can omit that step if in a hurry or you don’t want your kids using the oven. 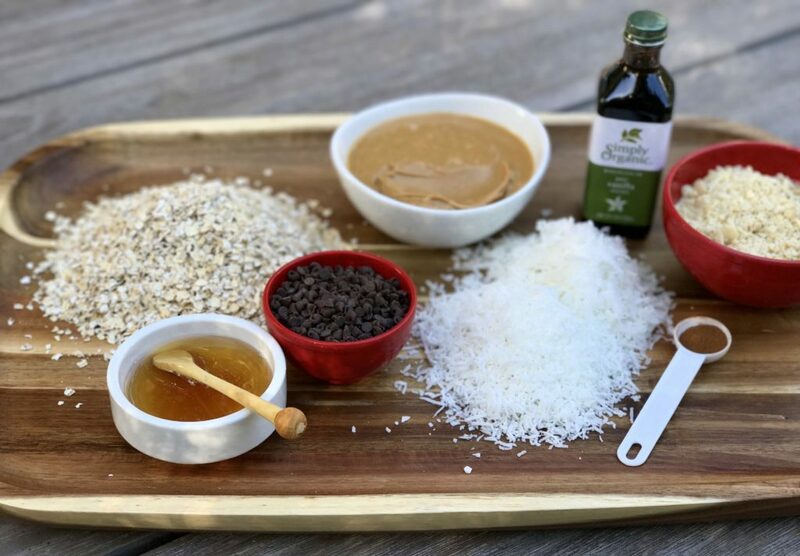 I like to use a mixture of almond and peanut butter, but you should feel free to use just one if you prefer, the recipe works just fine either way. 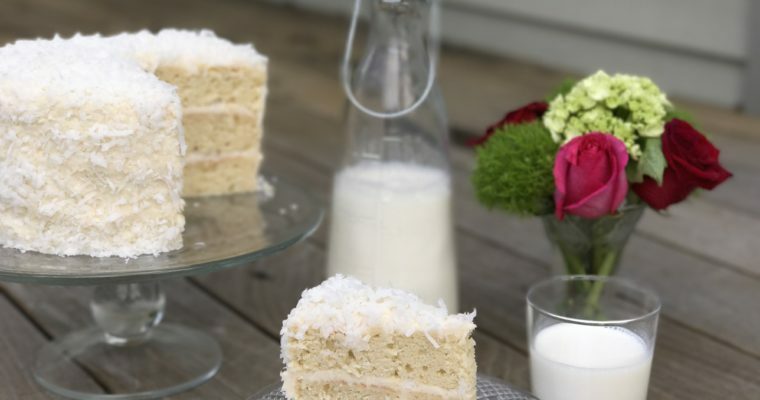 Getting a nice flat even surface may be the trickiest part to this recipe, if using the palm of your hand is not working for you, try using the bottom of a jar or drinking glass which I like to do to help press the ingredients firmly and evenly into the pan. Once refrigerated, the granola bars set, allowing you to cut them into bar shapes afterwards. 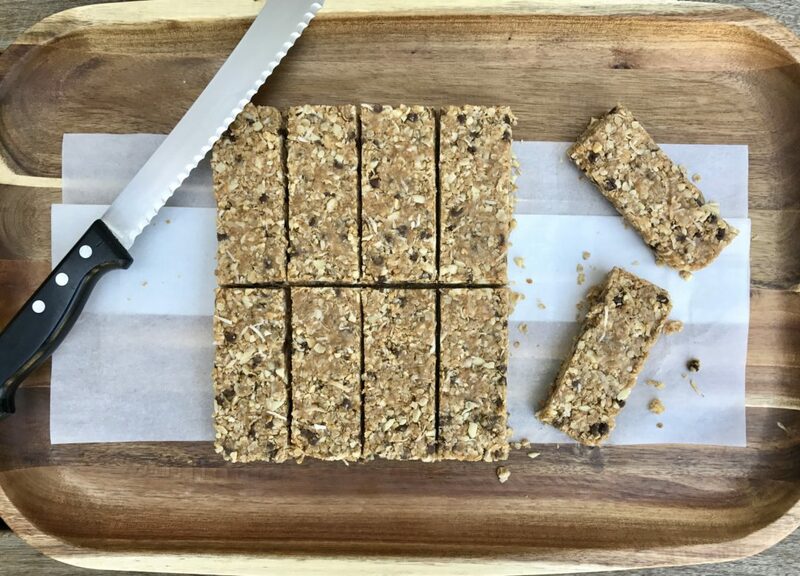 If making your own granola bars is not your thing, I get that, but be sure to check out this Huffington Post article, Best Granola Bars: Our Taste Test Results, which may help guide you when shopping for store-bought ones. Wishing everyone a great school year ahead! Step 1 Preheat the oven to 300 degrees F.
Step 2 Place the almonds on a baking sheet and toast in the oven until fragrant, about 5-10 minutes. Remove from the oven and let cool. Step 3 Line a 9×9-inch baking pan with parchment paper. Leave enough overhang to lift out of the pan easily. Set aside. Step 4 When the almonds have cooled, place in a food processor, such as a Cusinart, fitted with a metal attachment, and pulse until the almonds are roughly chopped. Place the chopped almonds in a large mixing bowl. Step 5 Add the quick oats, both types of coconut, chocolate chips and cinnamon to the chopped almonds. Mix well to incorporate and set aside. Step 6 In a small mixing bowl, add the almond butter, peanut butter, honey and vanilla extract. Use a soft spatula to mix well. Step 7 Add the wet ingredients to the dry ingredients and gently mix well to coat. Step 8 Place the mixture into the prepared baking pan. Using a jar or a drinking glass, gently press the bottom of the jar down on the top of mixture to flatten the surface evenly. Cover with plastic wrap and refrigerate for at least one hour to set. Step 9 Once the granola bars have set, remove from the refrigerator and use an off-set spatula to cut into 10 equal sized bars. For maximum freshness, store granola bars in the refrigerator.